It is undeniable that few jewelers can rival the likes of the brand Cartier. Vivienne Becker is owed a debt for proffering the coveted, historical, symbolism, esthetic, and mystery of the pearl necklace, Akoya pearls, and of course Mikimoto. How can this book be adequately reviewed when there are not possibly enough superlatives to describe and discuss Cartier Dazzling: High Jewelry and Precious Objects? Ahhh, the holidays. 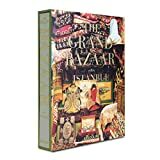 At this time of year there is a minor flood of glossy coffee table books that deal with fine jewelry, travel, art in its many manifestations, and timepieces. Without question, the only language that should be used to describe this unimaginably beautiful volume is with a vocabulary of superlatives. From Project to Object might be an apt subtitle for this glorious love letter about one of the most revered and notable jewelers or “maisons of jewelry” that the world will ever know. 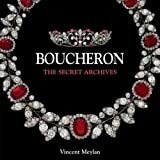 “When it comes to books about fine jewelry, Boucheron: The Secret Archives is a must for your coffee table.